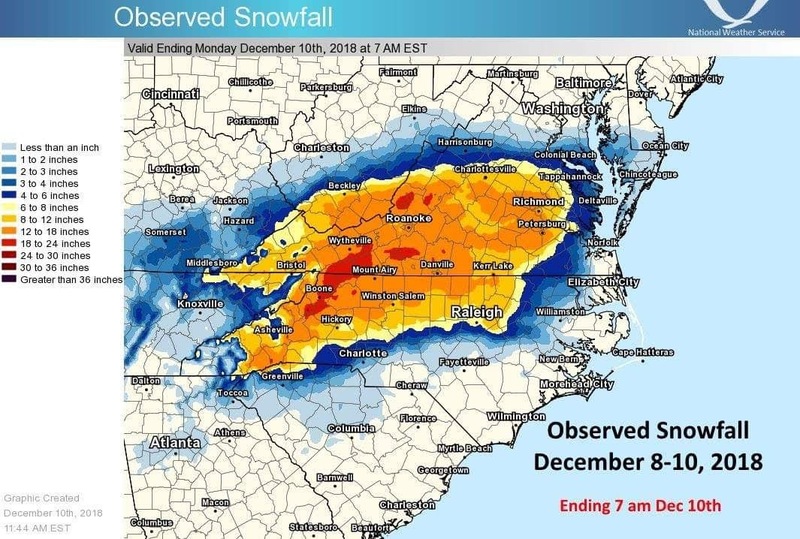 Wow, so what a storm.. most places saw a foot or more region wide. This is without a doubt the most significant storm this early in the season for our area. My last posted map was..
Not a bad call, but a little low on the north side and a little low south of Danville. I had actually made another map and never uploaded it..
Would have been a little better in some areas but missed the 20 inche totals. That northern side was way underdone by everone. This somewhat shows why I didn't really back off Friday when the data sunk south again. 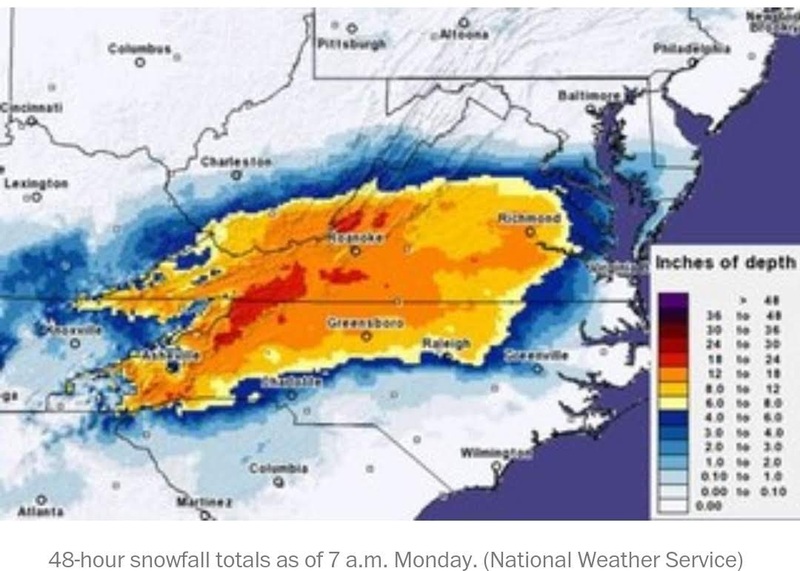 Northern edges are always a bear and there were some suble changes that lead to 13.5 in Charlottesville, 11.5 in Richmond and 15-20 in Lexington to Covington areas. 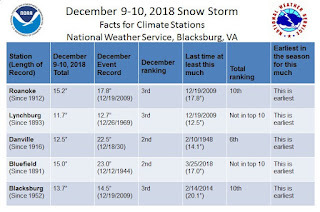 I ive in Lynchburg and the official total will be 11.7, I had an even 12 or so and region wide 12-15 seems to be the common numbers for our area. We are off to a nice start this winter with over 50% of more of the seasonal totals already achieved. Outside shot at a little snow and ice late this week but we should be mild until Christmas week. That may be the transition week and then by early January we should be back into a colder pattern. 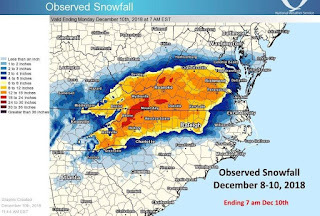 In moderate El Ninos-- When you get one storm over 10 inches, you often get a second or even a third. 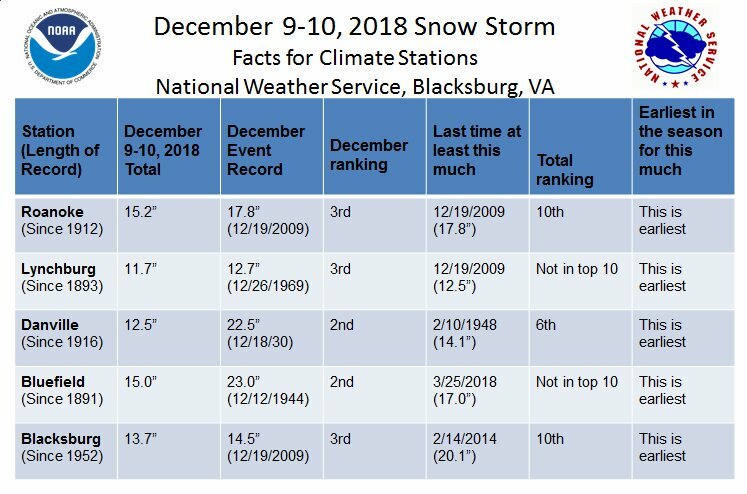 09-10, 86-87 and 65-66 were winters that had 2 or more storms over 10 inches in most of our region. 02-03 had a plethora of storms between 3 and 6 inches. Meaning, enjoy the break-- we may chatting a lot as the season moves forward. Hope you saw my heavy snow video! Double digit snowfall like across much of region Starting Sunday Pre dawn. This is the type of events that bring meteorologists, hobbyiest and casual weather fans to the brink of frustration and sanity. The pattern and set up looked like a snowstorm, but there were several issues that had to be resolved. This leads to models drifting all over the place and general chaos about the forecast. 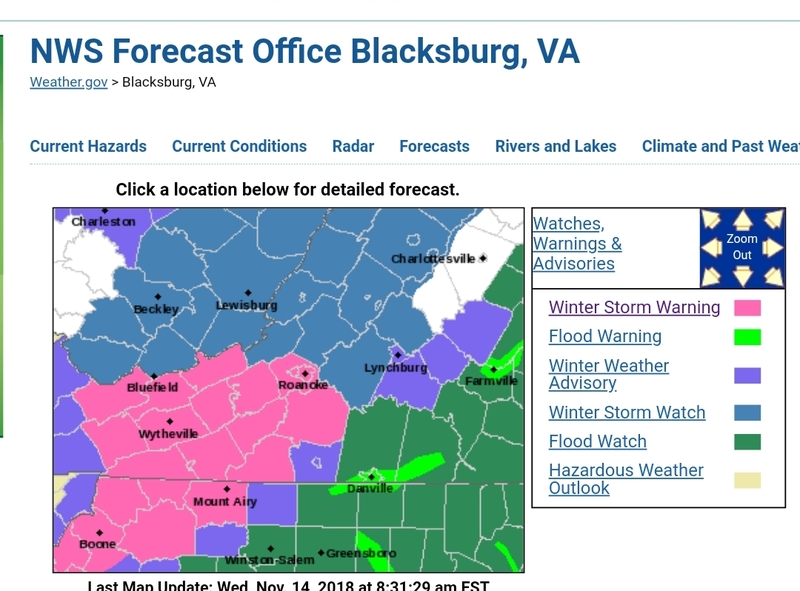 It seems we have a general idea that 1 inch of liquid, falling as snow like reaches at least to hwy 460 from Blacksburg east through Appomattox. Hence, my totals are going up. Don't rely on your app. Most take one model and spit out what the model says. It is a huge disservice in a winter weather event 5 days out. Accept that the "chance" is there and the details will be ironed out. It is important to be comfortable with not knowing the exact details. To me, that's half the fun-- figuring it all out. Every weather forecaster will be wrong on some aspects of their forecast. We (They) often focus on their local area and then fan out to areas that they know, but not as well. I have no issues saying I am expect on Lynchburg weather. I do well other places but I know the local nuances better than likely anyone living in the area. Sadly, I have spent literally 20 years now reading computer model data about weather and storms here. The further you get away from any one person's area of local knowledge, the less accurate a forecast will be. (AKA, people who ask me 2 hours away I can take a stab at it but it won't be great, I have not invested as much into understanding your area. With that, I accept part of the map will be wrong somewhere. My totals are going up. Honestly, there is some wiggle room especially in the Lynchburg area for a tad more than I show even though my totals have increased. I am actually typing this up before the noon model data believing if anything we see another drift north on the snow totals. I'll save you the weather jargon. This is a big wet system. There is just cold enough air in place and it will snow. A lot. Any place may end as sleet or freezing drizzle. Places in Charlotte, Pittsylvania and Henry County may mix a little more but will still get crushed. There may be a few minutes where it snows so hard you just stop and smile and say WOW! I expect a few Facebook posts of " Heaviest snow ever". I would not be shocked to see 2 inch an hour snows at some point tomorrow in all areas. I'll start tweeting/posting more on FB as we get close with the latest up to date information and will include computer modeled snow maps at this point forward. 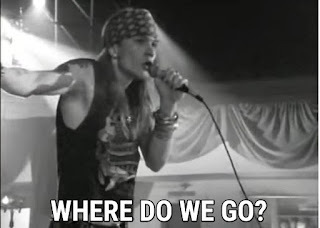 Moving forward :To quote GNR-- Where do we go now?? We are slowly shifting back towards a colder pattern. Some areas saw a dusting of snow, or even more in the higher elevations of Amherst County. We all know I don't blog about cold, so where are the snow chances?? 1. Friday- Rain may end as snow. Places west of the Blue Ridge, especially higher elevations have a shot a some accumulations. 2. Superbowl Sunday into Monday- Another storm approaches from the south. 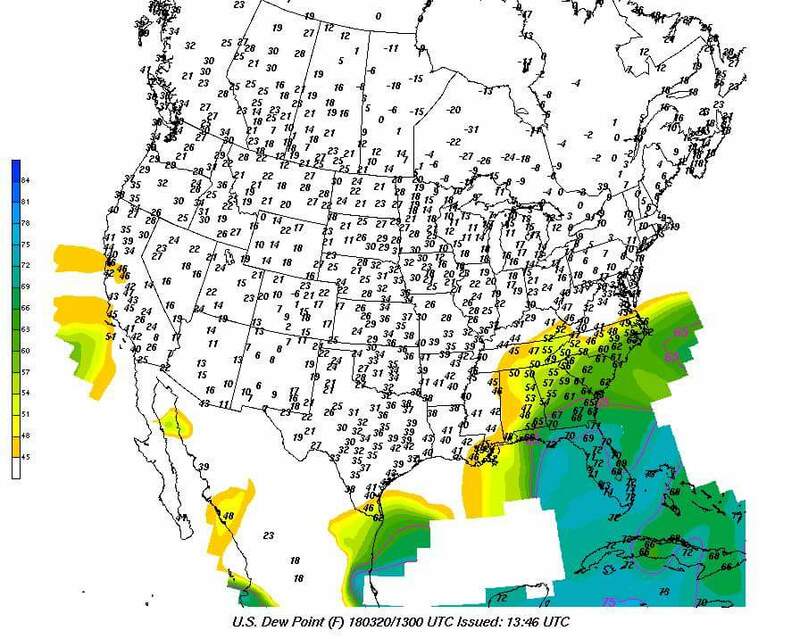 We have limited cold air but maybe enough. Current thoughts think the Western Areas catch up on some snowfall while the south and east regions snow to mix or mix to rain events. 3. Feb 8-9-- maybe, but that's 10 days out. Just watching. After this event, we could have a brief 3-4 day warm up then we get a colder look, maybe not that different from the colder pattern we had after Christmas into the first week of January. We had serious issues getting moisture so we missed any real shots at snow. Some signals look more wet and stormy, but I say that with caution because I remember model runs around Dec 22 showing a crazy storm pattern that never materialized. For the year, Danville is above normal snowfall while the rest of the region has some catching up to do. With enough cold air lurking around, I think we have a punchers chance to reach our "normal' snowfall.. give or take a little. We are not moving towards a "big" storm (12 plus for much of the area) but more like a shot a 1-3 moderate events. Someone may see half a foot of snow! OK, hard, low confidence event for what will be a 1-3 event most places. Someone may very easily report 5 ot 6 inches, but where? Complicated set up. We really had 4 events from this thing.. starting yesterday over a large chunch of the nation. We will get involved in the final act of this storm system. 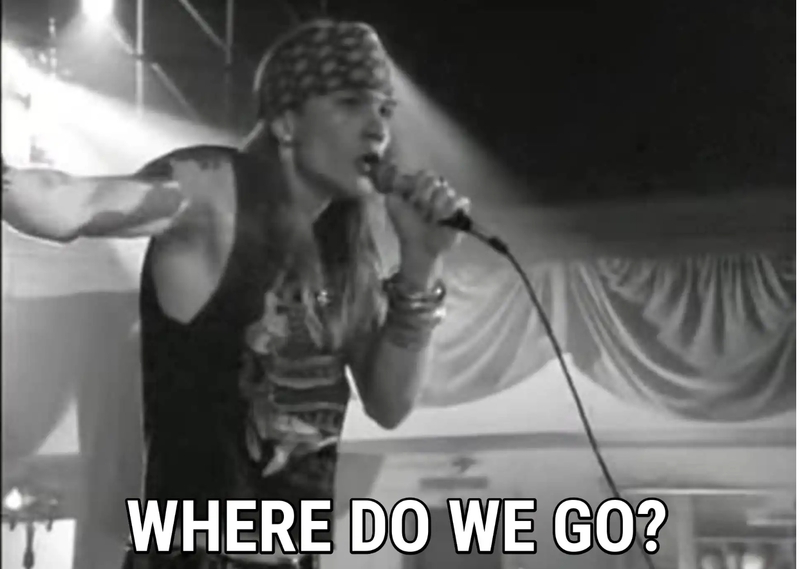 So, most places up in the 40's today. One last arctic shot comes through and little wave forms behind it. There is snow behind the front and it forms or reforms as it gets close to our region. Where it reforms/forms decides who gets how much snow. I wait to blog until the Euro came out. 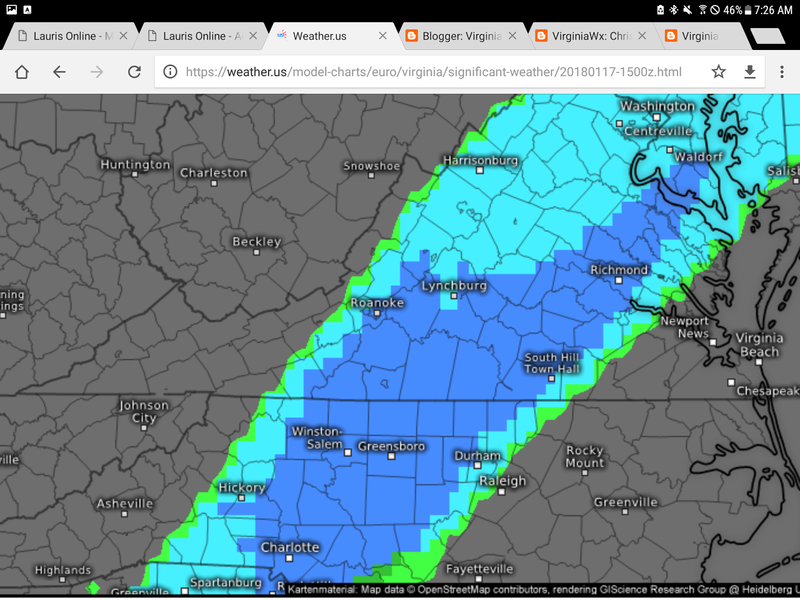 Other than the NAM model, all data had pushed the 3 inch snow line to Lynchburg. The euro last night had 2 inches and today has backed off a bit, down to an inch. Some of that is noise, but it does match more of what the NAM displays. East of Blue Ridge including Lynchburg/Danville Think Route 29: 1-3, someone may pop 4 inches on in this area. East of here to include South Boston, Keysville, Charlotte Court House, Appomattox Farmville, Clarksville, Bug Island: 3-6. I'd be shocked if most places dont get at least a coating. But, when you have a band form, rising air in point A means sinking air in point B.. which means you dry out. 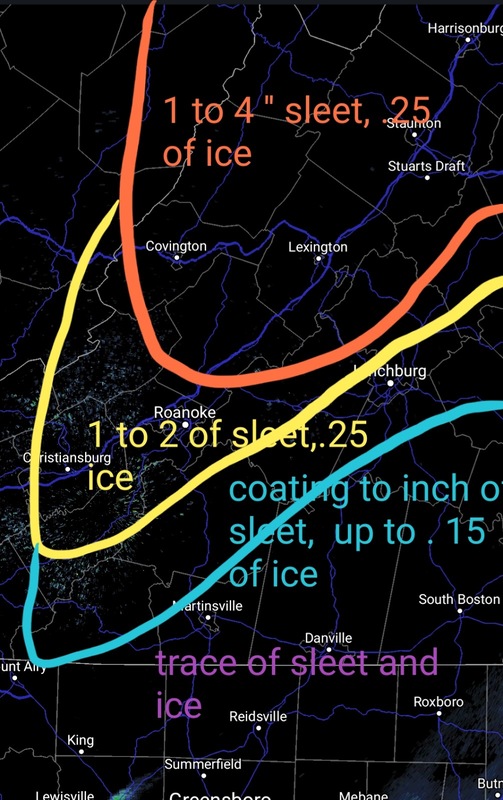 I'm most concerned the areas from Moneta to Bedford to near Lynchburg may get caught in a relative minimum. The flip side is: Some data has pushed a little closer to Lynchburg where 3-4 is very doable in Lynchburg. This could be an event where Wildwood out on 460 west near the 7/11 has a half inch and the Burger King on Campbell has 3. Pretty tight gradient. Share this blog and your updated on my weather page/twitter feed. Especially want to find reports from those in the highest risk areas for 5-6 inches. Tuesday Night and Wednesday Snowstorm ideas. First- Always remember if I saw or show what a model does, it doesn't mean it will happen. It also doesn't mean that is my forecast. Maybe I was careless with my words about the Euro run Friday and it seemed some people may have ran with this as my forecast. I don't run with one model, I blend some model runs with added knowledge about our local climate and past events. When I make a forecast, it will be clearly marked. I share model data to raise awareness of future events. This event: As stated, Friday looked like a nice step towards a decent event, we had a backing off late Friday into Saturday and then last night a step back towards a decent event. The floor of this event seems to be a coating to an inch for most places. The ceiling seems to be a 3 to 6 inch snowfall. Right now, the best bet is a 1 to 3 inch snowfall for most of my readers (Blacksburg, Danville, Roanoke and Lynchburg. Somewhere, right now it seems to be favored east could end up more in that 3 to 6 range. There is a clipper system that has a cold front attached to it. The front slows down and a wave develops on it, enhanced by a strong jet aloft. So, there isn't really a "strong low: or really even any low at this point. If we do get a low developing faster, like the Euro showed on Friday we could end up with a decent event again. The Euro last night was a little more bullish on the wave.. This is the total precipitation from the last run of the euro. 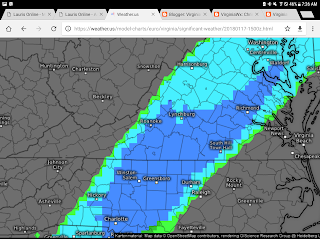 The best enhancement is just east of Lynchburg, but about .25 falls in Lynchburg. This could move either way before Wednesday. That is the progression of the snow as it moves through. It strengthens over our area due to a strong jet over head. 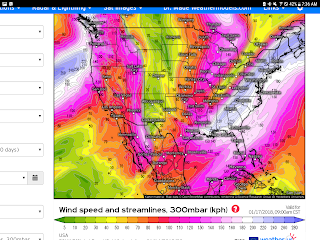 Basically, when the air aloft is moving that fast, our air rises to replace what is moving away. Lift = wrings out our moisture into cold arctic air. 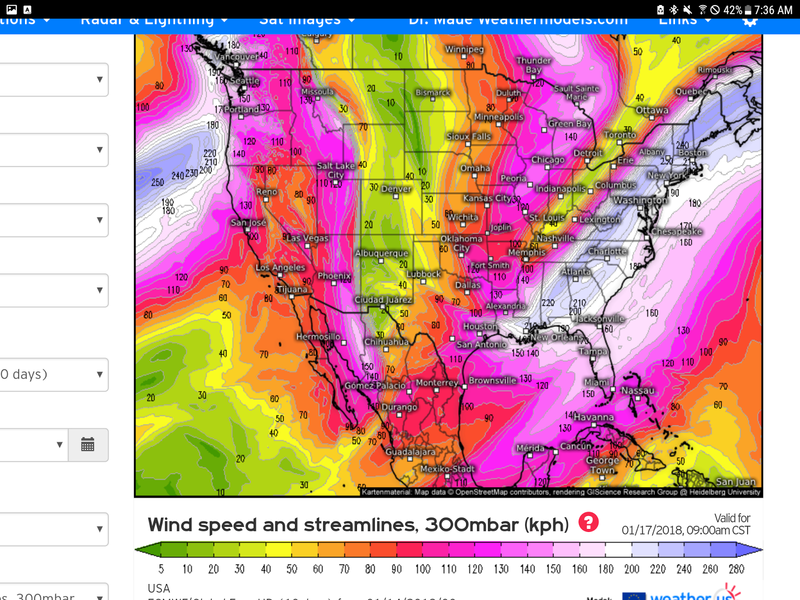 Not in this mapthe strong winds from the Jet stream (Lets say from 15k to 30k feet, flow is out of the southwest. At this point, Most areas are on target to see a 1-3 inch snow fall. Some places, as show on that map, could see a bit more like 3 to 6. 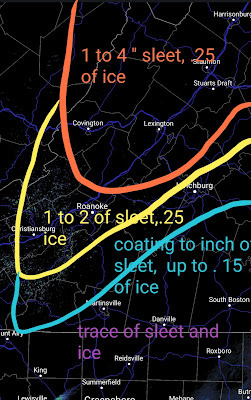 As of now, best locations may be east of Lynchburg but that will likely change a bit as get closer. I will tweet out updates throughout the day and likley have a blog updated in the morning. Share this write up with your friends..